 Only the guests of Maria Behety enjoy the access to all the great pools of the Rio Grande. At the Rio Grande the season start November 01 until 15 of April. High season start first week of January until last week of march. 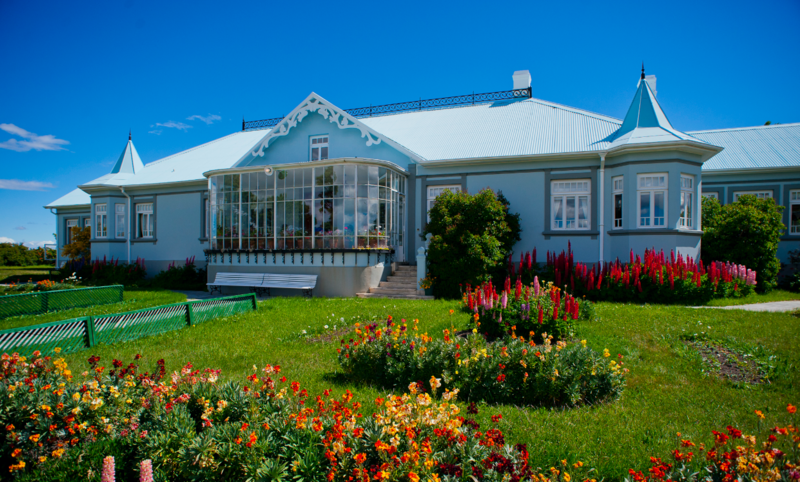 Tierra del Fuego Province 15 km from Rio Grande city, 220 km from Ushuaia capital city of the province. The Fishing Week: Saturdays are arriving and departing day. Fishing day starts on Sunday to Friday. Each of the angling days is spent 4 hours fishing in both the morning and evening. The beats are rotated, and normally anglers will not have to repeat any pools during their stay. Fishermen return to the lodge to enjoy a mid-day meal, and have the chance to relax for a few hours. 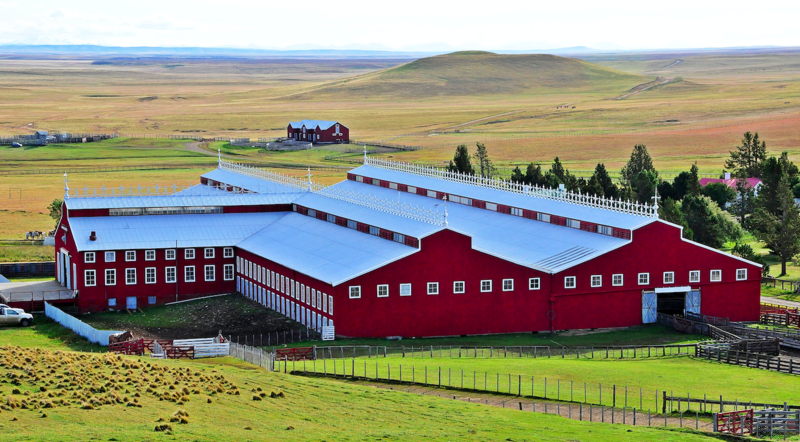 The lodge is only a short distance from the river, no more than half an hour to the most distant beat on the huge ranch. 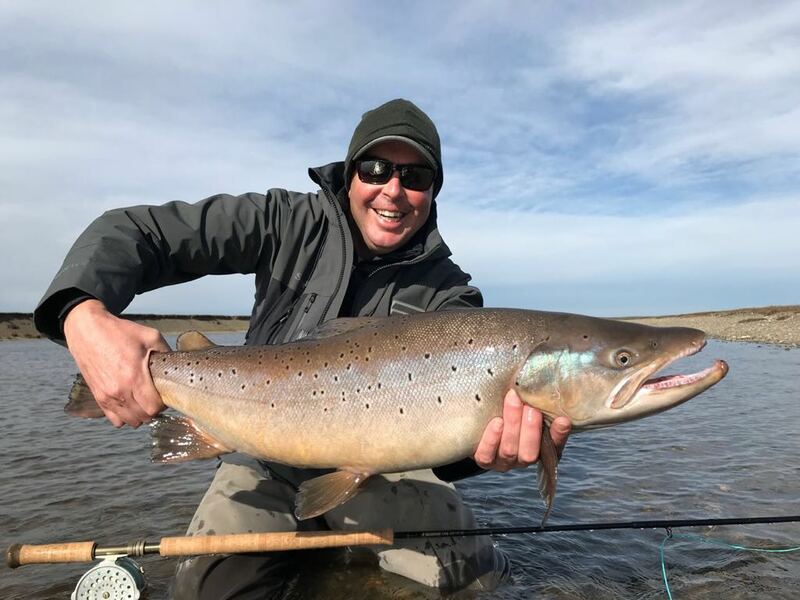 At the conclusion of the angling day, fishermen return to the lodge for a hot shower, cocktails from the fully stocked bar, hors d’oeuvres, and a wonderful Argentine meal accented by fine Argentine wines and desserts that will add a marvelous finishing touch to each day. Fishermen start each morning with a light breakfast of fresh fruit, cereals, yogurt, toast and coffee, as well as a full American Breakfast (if they have the room), followed by a full morning of fishing. Each two anglers share a guide and vehicle. Their beat usually consists of two to four pools, all for themselves. Fishermen typically return to the lodge by 1 o’clock in the afternoon where a delicious midday meal, perfectly complemented by local wines, is served, followed by a well-earned siesta. 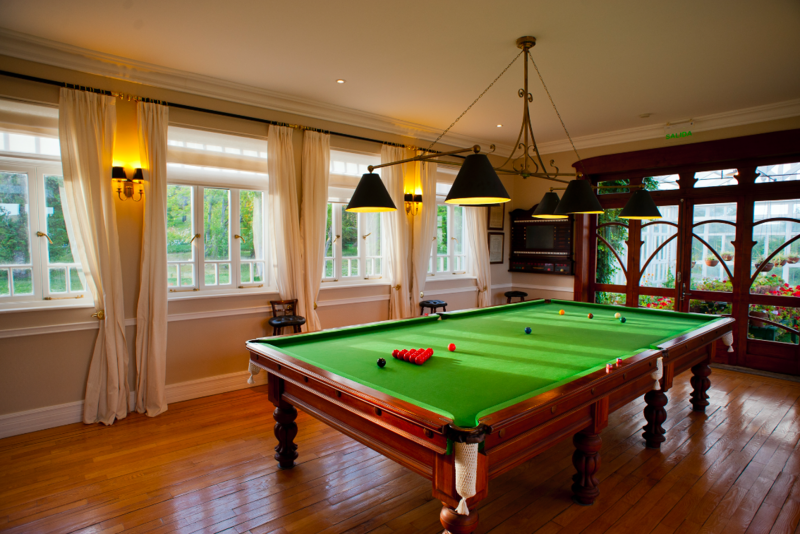 This beautifully-restored, historic mansion qualifies as the most deluxe fishing lodge in all of South America. Guests enjoy the old world charm of the century-old family home, sharing the Rio Grande with anglers from Maria Behety Lodge. 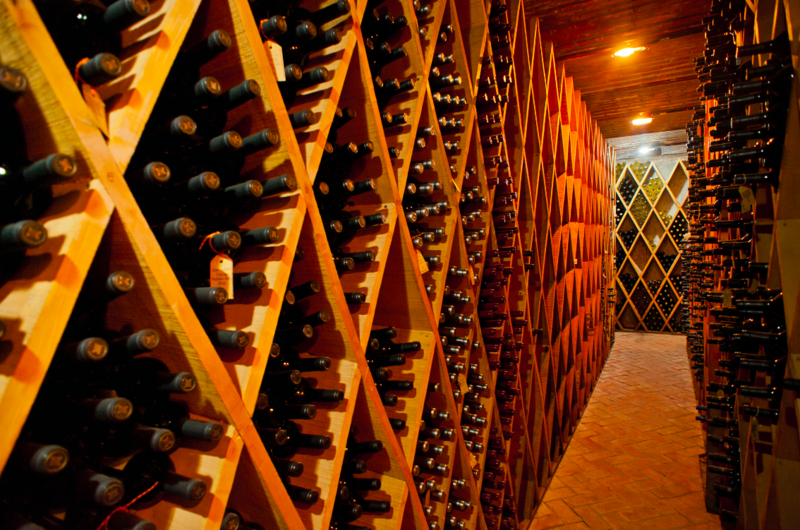 The top guides and best sea trout fishing in the world is accentuated by single occupancy accommodations for each of only six guests, and wonderful food, paired with the finest Argentine varietals selected from a magnificent 9,000-bottle wine cellar. There is a billiard room, Jacuzzi tubs in the private rooms and other luxury amenities that puts this world-class lodge in a class by itself. This modern, cozy lodge overlooks the river nearly 30 kilometers upstream from the entrance to the estancia. 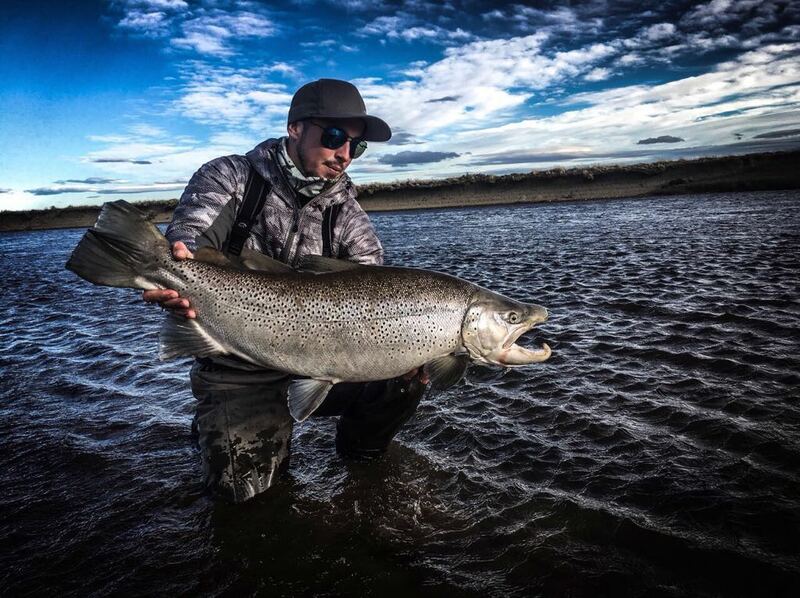 The mid-estancia location positions the angling guests within quick and easy striking distance of the very best pools of the Rio Grande. 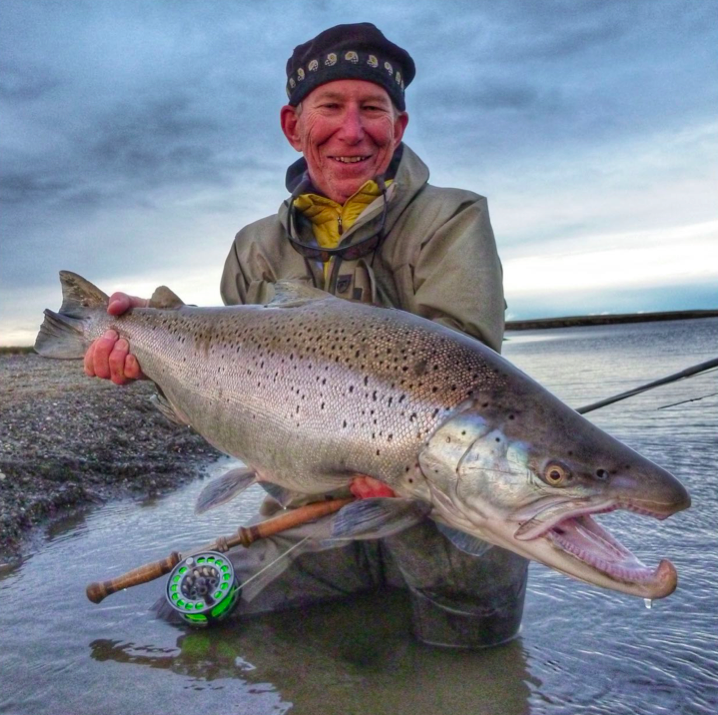 Fishermen have easy access to more than thirty miles of river frontage and enjoy the finest trophy sea trout fishing on Earth. 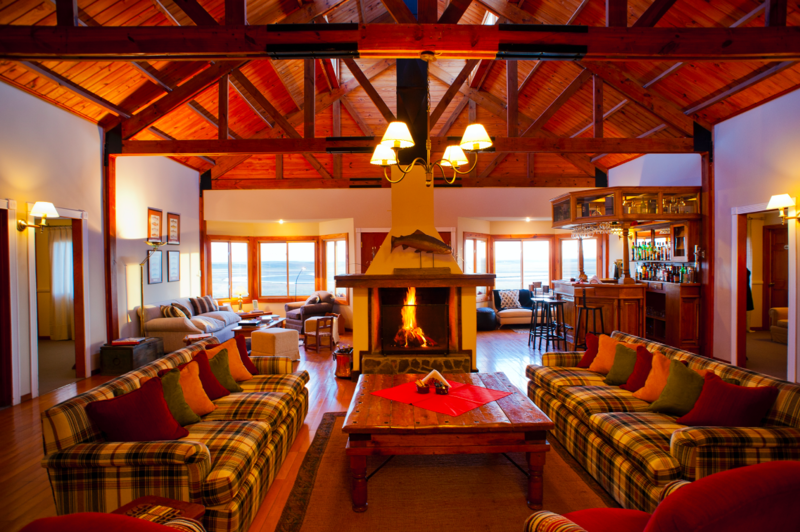 The very spacious lodge hosts a maximum of a dozen fly fishermen and was designed with every necessary amenity. 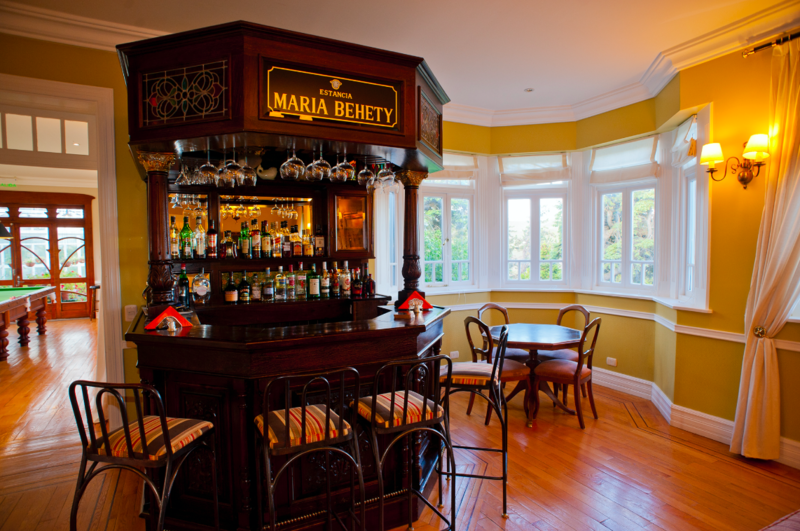 Each guest enjoys queen-size beds, a wonderful, open bar, fine food, and a club-like, informal atmosphere. The fish-savvy, English-speaking guides know the river intimately and give new meaning to the term dawn-to-dark work ethic. 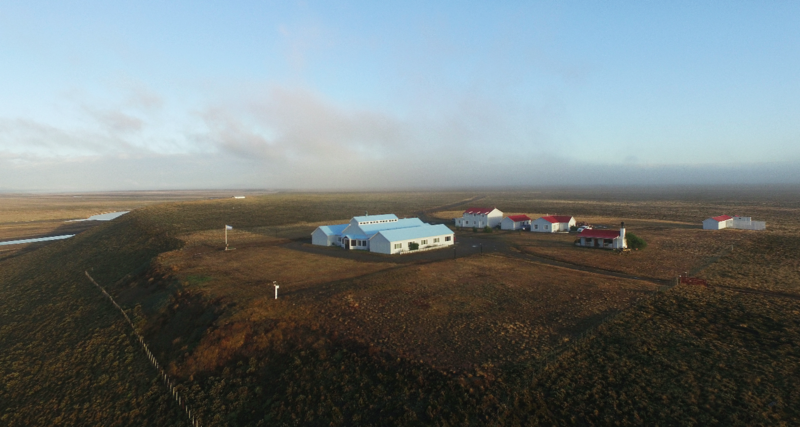 No matter what lodge you choose on the Estancia Maria Behety you should expect exceptional meals, luxurious accommodations, a fishing schedule designed to maximize your success, heated wader room, outstanding English speaking guides, all on an original, authentic working estancia with 495 square miles of cattle and sheep grazing country bordering 35 miles of the most prolific sea-trout fishery on earth. Rods: Two-hand rods (spey rods) are the most popular and effective at Rio Grande, allowing anglers to cast with less effort, particularly on windy days. We recommend bringing a 12-15 ft., 8-10 wt. rod. 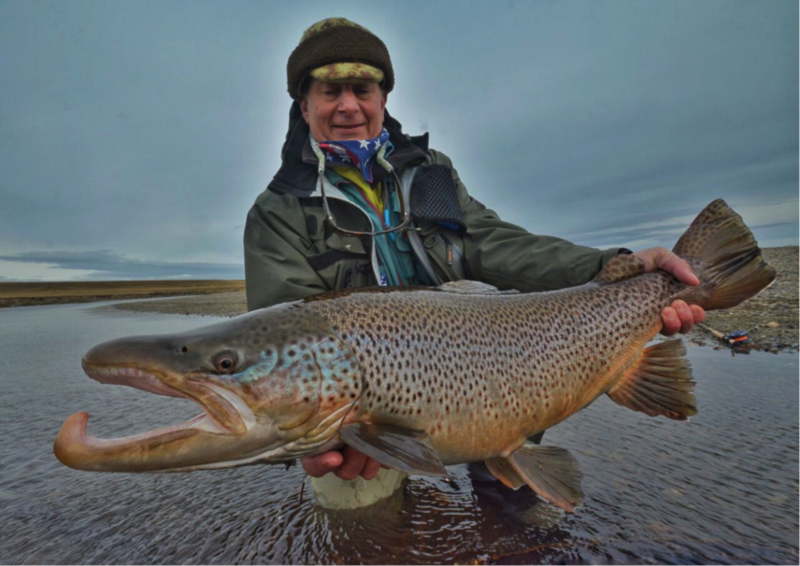 If you are new with spey rods, our guides could help you learning quickly. For single-hand rods, 9- to 10-foot 8-weights are perfect. 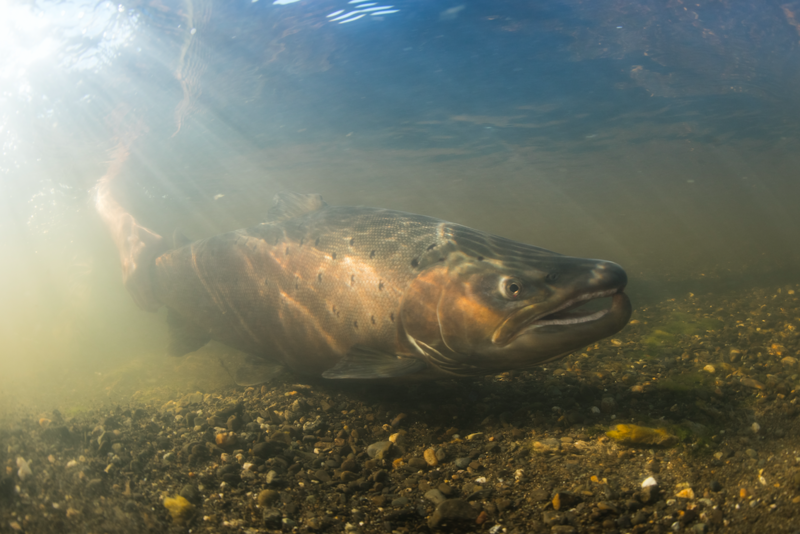 Lines: There is some line options, including Skagit system with interchangeable tips is the most popular from floating to heavy sinking variation depending of the river condition and pool. Shorter scandi and skagit heads are other option. You should bring different types of flies,depending the river condition you might fish with small flies or big streamers. The black color is the more effective. In our gift shop for sure we will have the more effective fly for your stay. The summer climate at Rio Grande have a wide range of temperatures and weather conditions. We recommend layering, so you can add or remove garments during the day. Pack fleece jackets, thermal underwear, polar neck warmers, wool or synthetic socks, and a wool cap for cold weather Also take a reliable windstopper/ rain jacket.